Metro Gowning Room Products. 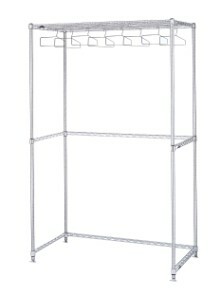 Stand alone, wall mount and economy garment racks available. Additionally, mobile garment storage racks, gowning benches and bootie/shoe racks are available. Metro can handle all your gowning needs.